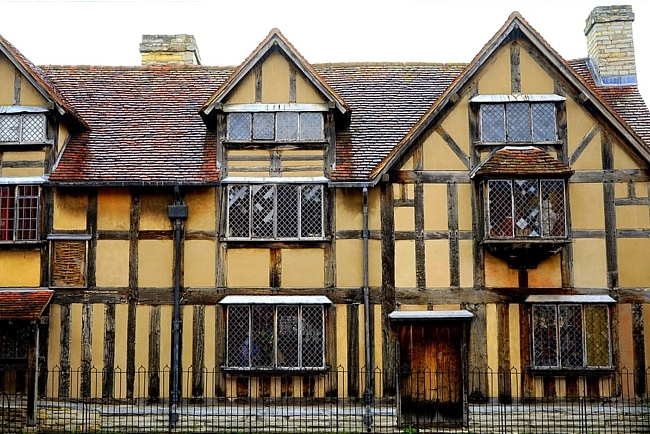 Stratford-Upon-Avon, Warwickshire, is the place to visit for the ultimate Shakespeare experience, and you can learn more about the historic town below, but there are several other places, like The Globe Theare in London, to visit that have a Shakespeare connection! In this famous house on Henley Street, William is said to have been born in 1564. The house belonged to his parents, Mary and John Shakespeare, and William grew up here with his siblings. His father, a glover, had a workshop in the house and young William helped him run the family business. The house became William's on the death of his father in 1601 and William leased his childhood home out to Lewis Hiccox, who converted it into an inn and a residential dwelling. At the time of William's death, his widowed sister, Joan, was living in the dwelling. 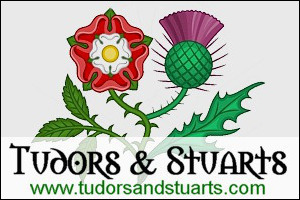 John Shakespeare's descendants continued to live in the house until the nineteenth century. In 1847 the house was bought by The Shakespeare Birthplace Trust and they have cared for it ever since. The house is now a museum and is open to the public. This picturesque cottage was the childhood home of William's wife, Anne Hathaway. Her father, Richard Hathaway, was a tenant farmer, and Anne was born in this cottage in 1556. When her father died in 1581, her brother, Bartholomew, took over the tenancy and later bought the farm. 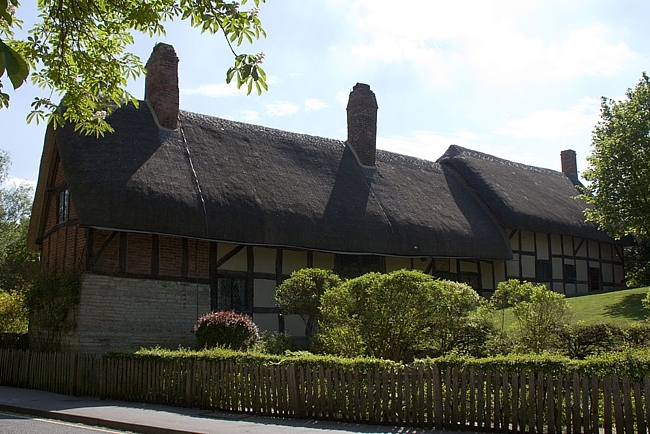 The cottage continued down the Hathaway family line until the nineteenth century when the last Hathaway to own the cottage, Mary Barker, sold it to The Shakespeare Birthplace Trust in 1892. The cottage is now a world famous tourist attraction. William's mother, Mary Arden, is believed to have grown up on this farm. She lived here with her seven sisters, and inherited the farm when her father, Robert Arden, died in 1556. On the farm is the house that Mary is believed to have grown up in, and Palmer's Farmhouse (pictured), an amazing Tudor farmhouse that was once mistakenly believed to be Mary Arden's home. 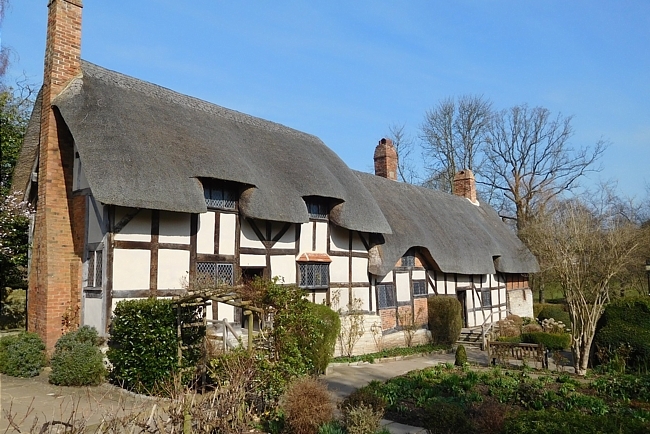 Both properties now belong to The Shakespeare Birthplace Trust and form part of a working Tudor farm. This farm is open to the public and is fantastic place to visit for all the family.